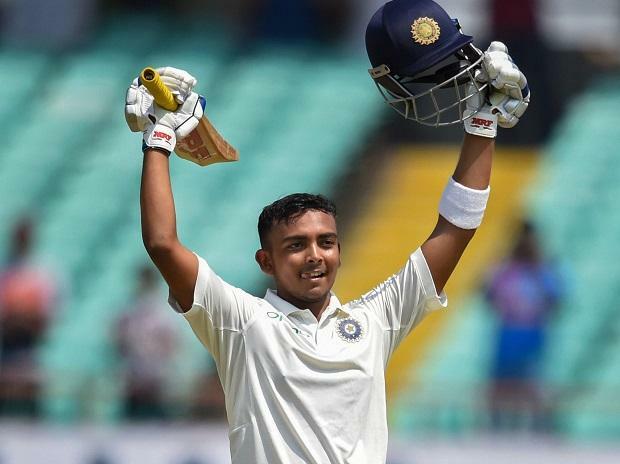 Young opening batsman Prithvi Shaw will be returning to competitive cricket after sustaining an ankle injury during a practice game in Australia prior to the Test series as he was Saturday included in Mumbai's squad for the upcoming Mushtaq Ali Trophy. The Mumbai Cricket Association (MCA) announced the 15- member squad for the domestic T20 tournament on its website after the senior selection committee, led by former India pacer Ajit Agarkar, met here to pick the team. India international Ajinkya Rahane will lead the Mumbai team in the T20 tournament, which will be played in Indore from February 21 to 28. Shaw had sustained the injury while fielding and subsequently missed the entire Australia Test series, which the visitors won. It was was India's maiden Test series win Down Under. Subsequently, on his return to India, Shaw underwent a rehabilitation programme. Other batting regulars Shreyas Iyer, Siddhesh Lad, Surya Kumar Yadav and experienced wicketkeeper-batsman Aditya Tare have made it to the squad. The bowling attack will be led by former India pacer Dhawal Kulkarni. Mumbai, who flopped in the recently concluded Ranji Trophy, had won the Vijay Hazare Trophy, the domestic One-day tournament, earlier in the season. Mumbai squad: Ajinkya Rahane (Captain), Prithvi Shaw, Shreyas Iyer, Shardul Thakur, Dhawal Kulkarni, Siddhesh Lad, Aditya Tare, Surya Kumar Yadav, Akash Parkar, Eknath Kerkar, Dhurmil Matkar, Shams Mulani, Shubham Ranjane, Tushar Deshpande and Royston Dias.